John A. Colby, 64, a longtime resident of Northfield, passed away at his home on Monday, October 8, 2018 after a long illness. John was born in Laconia, September 15, 1954, son of the late, Sherwood S. and Mary (Baker) Colby. John grew up in Tilton and was a graduate of the Winnisquam Regional High School, class of 1973. 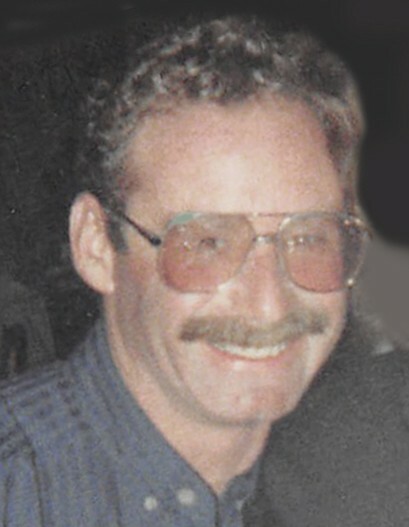 He later moved to Northfield with his wife Lori in 1987. John worked for Bergen Patterson in Laconia for 14 years. He went on to work for Mike and Skip with Shumway Construction Company for 25 years. He enjoyed his time working with Shumway at St. Paul School in Concord with Paul. An outdoorsman, John enjoyed hunting, fishing, camping and hiking. He was a parishioner of St. Mary of the Assumption Church of St. Gabriel Parish in Tilton. In addition to his parents, John was predeceased by his wife of 25 years, Lori (McPherson) Colby who died in 2008. He was also predeceased by a sister, Judi M. Colby and brother Steven L. Colby. John leaves, his brother, Thomas Colby Sr. of Northfield, nephews, Chris Colby, Tom Colby Jr., and Randy Skillin, niece, Melody Mammino, cousins and generational grand and great-grand nieces and nephews. John would like to thank his medical providers, Dr. Hillary Conkling and staff, Dr. Kamen Rangelov and Staff, Dr. Charles Catcher and staff, and Heide Loring, RN. Following through with John’s wishes, there are no calling hours or public services planned. John will be placed in the family crypt with his wife Lori in Park Cemetery in Tilton. Assisting with arrangements is the William F. Smart Sr. Memorial Home of Tilton. John requested that contributions in is name be made to the Central New Hampshire VNA and Hospice, 780 North Main St., Laconia, NH 03246.